One thing I struggle with is getting my youngest to eat her veggies. She really only likes broccoli and even then will only eat the “tree” part, not the stalk. I found that she will eat carrots if I cook them with a little butter and brown sugar on the stove. She calls these “Sugar Carrots”. But since this past month I was searching for a recipe incorporating ginger and carrots, I decided to try these in the crock-pot with a little fresh ginger and oj. The result got two thumbs up from my picky eater! I can always get my kids to eat their carrots if I made this easy recipe. 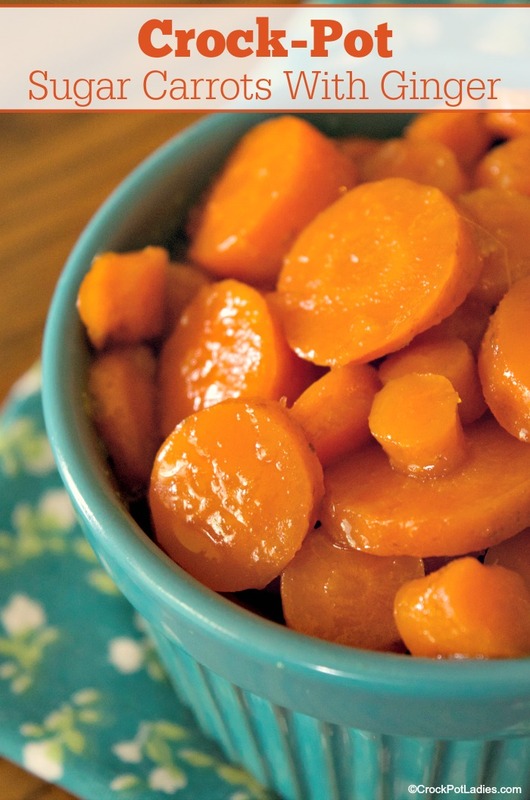 Fresh ginger adds just the right flavor to these delicious carrots. Make this for dinner any day of the week or double up the recipe for holiday meals! Wash, peel and slice carrots into 1/4 inch slices. 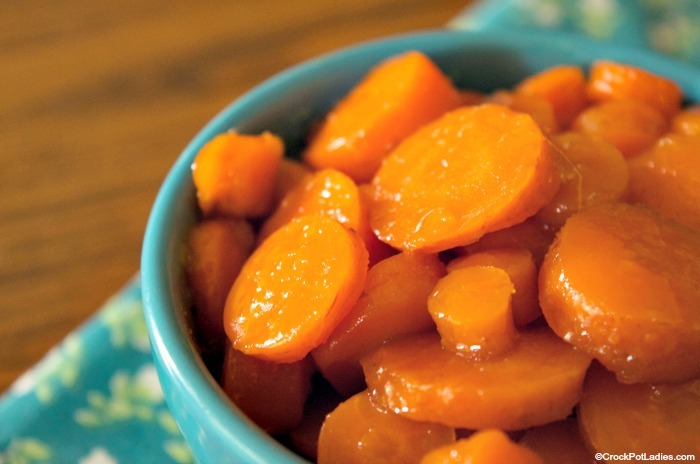 Add carrots, ginger, brown sugar, orange juice and butter to a 4 quart slow cooker. Cover and cook on HIGH for 1 hours. Remove lid from slow cooker and stir carrot mixture to make sure there are no clumps of brown sugar. 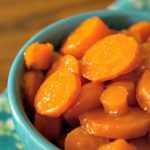 Cover slow cooker and switch the temperature to LOW and cook for an additional 4 to 5 hours or until the carrots reach your desired tenderness level. There should be a fair amount of "sauce" in the bottom of the crock-pot which you can spoon over the carrots when you serve them. I loved these carrots and they made my house smell so good. The second time I made them I puréed the carrots and liquid then added almond milk for a delicious creamy soup. My husband who typically doesn’t care for soup had seconds. That sounds Amazing Dee! What a great idea to turn them into a carrot soup!